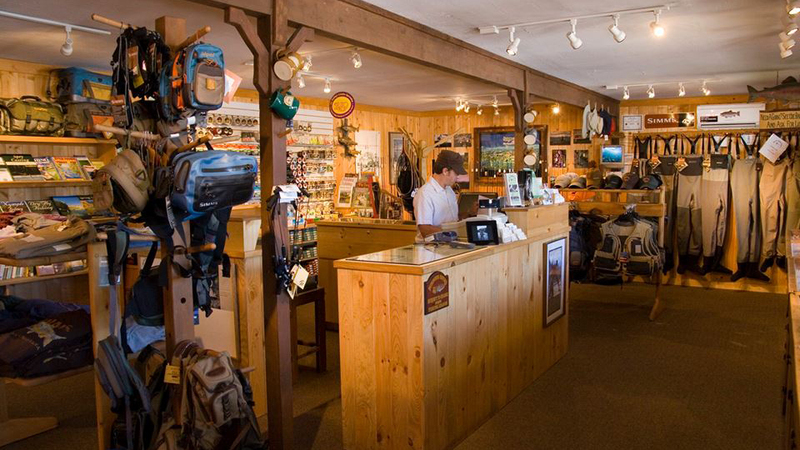 The Fly Fishers Place in Sisters carries top of the line equipment from Sage, RL Winston, Beulah, Redington, Abel, Ross, Hatch, Rio, Scientific Anglers, Simms, and Patagonia, plus they brag about having one of Oregon’s best fly selections. If you are looking for the perfect nymph, emerger, dry, or streamer, they are sure to have it covered. They also offer over 40 different guided trip options throughout Central Oregon so, whether you are interested in chasing steelhead on the Deschutes, targeting large Brown and Rainbow Trout on East Lake, floating the McKenzie, or learning how to fly fish, their calendar just may have the trip for you. Over the years, they’ve had the opportunity to go fish in some amazing places around the world and they’ve met guides and lodge owners over the years. The have a list of much further afield fly fishing travel adventures you may want to explore, or you can keep in right here in Central Oregon with their fishing reports, great advice, guides, lessons and flies.